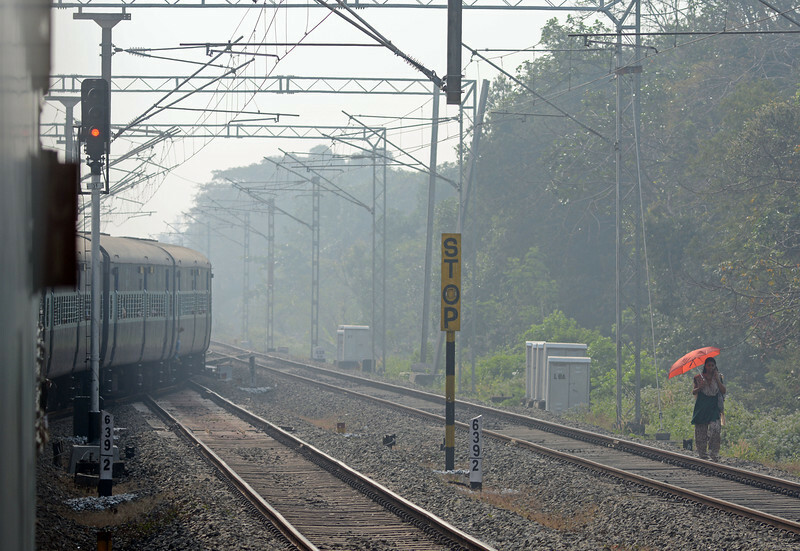 The remaining pictures were taken en route to Ernakulam. At Ferok our first stop, we passed a lady chatting on her mobile whilst walking along the track sporting a bright orange umbrella. It was extremely hot.